Allison Bischoff received her Bachelors degree in Psychology and Women, Gender, and Sexuality Studies from Washington University in St. Louis in May 2013. Prior to pursuing her Master's Degree in Industrial/Organizational Psychology at SIUE, Allison worked as a research assistant in a neuropsychology lab at WashU's School of Medicine. Her primary research focus has been obesity and behavioral and psychological outcomes in Type 1 Diabetes. However, Allison decided to change her career track from clinical psychology to I/O so she could explore psychological principles and theories in the workplace. She hopes to pursue research in women leadership, motherhood in the workplace, and sexual harassment. Outside of academia, Allison enjoys traveling to new states and countries, walking her mini-Golden Doodle in Forest Park, and watching reality TV to escape the real world. Maya Gann-Bociek received her Bachelors degree in Psychology with a minor in Philosophy in Spring, 2017. She recently began her Master's degree and Ph. D. in Industrial/Organizational Psychology at Saint Louis University in August of 2017. Her primary research interests concern discrimination in the workplace, primarily focusing on racial, gender, sexual orientation, and religious equity. She is currently a graduate assistant for SLU, but when she is not working, she spends her free time finding live, local music, being active in the St. Louis automotive community, watching science fiction movies, playing with her cat, standard poodle, and husky, and spending time with her loved ones. Mallory Maves received her Bachelors degree in Psychology with a minor in Art from Southern Illinois University Edwardsville in December of 2013. She recently began her Master's Degree in Industrial/Organizational Psychology at SIUE in the Fall of 2015. Mallory volunteers her time to academic research at SIUE, and remains heavily involved in research projects. Mallory has presented her research at multiple conferences nation wide in various I/O related topics including: gender bias and stereotypes in the workplace, sexual harassment, employee selection, and student research. Mallory is the adventurous type that can't stand a stationary lifestyle. She loves to try new things, and will never say no to a challenge or a new experience. She spends her free time doing yoga, hiking, camping, enjoying nature, and adding more things to her bucket list. Nicki majored in Psychology and minored in business. Since graduation, she is working towards a Master's in Industrial/ Organizational Psychology at Elmhurst. She is interested in research with training techniques, motivation, and gender bias. She is a Human Resource specialist with the Illinois Army National Guard, and has been using the National Guard to improve her leadership skills. Whenever she is not studying for school or training with the Army, she likes to be outside either hiking or riding her bike, take part in her sorority's philanthropy events and also Psychology club events, and go to St. Louis Blue's hockey games. Tori Mahassek graduated in May of 2015 with a Bachelors degree in Speech Pathology, but has decided to change directions and pursue a degree in psychology instead. Since completing the required pre-requisites in spring of 2016, Tori as been accepted to SIUE's Master’s program in Industrial/Organizational Psychology. Her research interests include internet-based recruitment and employee selection bias. She is currently employed at Early Explorations Too Daycare, but when she does not have her hands full of five one and a half year olds, you can find her spending time with her family and friends. She loves to watch and quote movies, volunteer at the Community Hope Center, and bring Pinterest to life! Hollie Cocke was a Psychology major minoring in Business and History. Since her graduation from SIUE in May 2016, she is pursuing a master's degree in Industrial/Organizational Psychology and has been accepted to SIUE's Master's Program. Her main research interests are gender stereotypes in the workplace, gender equity, and the women's leadership gap. She is currently working as an Intern at Bi-State Development Agency in St. Louis, MO. In her free time, she loves to watch movies, ride bikes, read, and spend time with family and friends. Darian Overby is a Psychology major minoring in Criminal Justice and Anthropology. After she graduates she looks forward achieving a Master's in Social Psychology. Her main interests are divorce and the it's effects on children, mother and child relationships, along with research on postpartum depression. Her ideal job is to be a Guardian Ad litem, so she could help children and their families. When She's not attending class and studying she like to spend time outside, especially in the fall months. She will jump to try new and exciting challenges or adventures especially with family and friends. She is passionate about St Louis Blues Hockey, and food! She is a senior graduating in Fall 2014 with a degree in psychology and a minor in sociology. After graduation she hopes to get into an I/O psychology graduate program and later have a job in that field. In her spare time Emily likes to read and binge watch TV series. She loves to go on vacation and sit on the beach, but she hates the water and is terrified of jellyfish. Candace Meyer received her Bachelor's of Science in Psychology with a minor in Sociology in May of 2014. She is currently working full-time and plans to attend graduate school to obtain her Master's degree in Counseling Psychology next fall. Candace's research interests include self-esteem, LGBTQ identity development, therapist-client match, gender issues, and adolescent psychology. She remains involved in research at SIUE and has presented past research at the Midwestern Psychological Association's annual conference in May of 2014. In her spare time, Candace enjoys watching movies, trying different restaurants, and spending time with her new nieces and nephew. Victoria Newcome is graduated with a bachelor’s degree in psychology with a business administration minor. She joined the workforce after she graduated in 2014 and interned with Duke Manufacturing for one year in their Human Resources department. During her time at Duke, Victoria worked on various projects including performance evaluation, department research data, job analysis, and employee selection. Victoria recently accepted a job at Express Scripts as a Human Resources Service Center Assistant. Victoria loves to be active, try new things, and travel; although, she just as much loves to sit on the couch and watch movies and read all day long. Tiffany Maglasang received dual degrees in Psychology and Spanish at SIUE in 2014. She currently is obtaining her Ph.D in Industrial Organizational Psychology at the University of Oklahoma. Tiffany has a diverse range of interests in areas such as: employee selection, training, and performance appraisal, preventing job burn-out and turnover, and increasing employees' motivation and job satisfaction. After receiving her Ph.D, Tiffany hopes to work at an I/O firm consulting businesses and in later life, possibly becoming a college professor. Outside of school, Tiffany enjoys spending her free time playing various games with her friends such as Laser Tag, Connect Four, Spoons, and UNO. Ray “Tray” Wetherell is currently pursuing a Master's Degree in Industrial Organizational Psychology at Southern Illinois University Edwardsville. Tray also currently works for Psychological Associates in St. Louis. His past research has focused on the affects dishonest behavior on self-concept as well as the challenges of white-collar crime in corporate finance. A non-traditional student, he chose psychology as a calling to help not only individuals but organizations as well after experiencing personal and organizational strife first hand. Dedicated to helping, he works as volunteer for a charitable organization and uses his practical knowledge in assisting others though outreach. He plans and hopes on continuing his education into the Masters program at SIUE in 2014 by specializing in I/O Psychology. Personally, Tray is an accomplished cook, and enjoys learning from those he meets. Rachel Stark is a sophomore majoring in both Psychology and Speech Language Pathology. She plans to attend a graduate program at SIUE in one of her two majors, on which she has not yet decided. Rachel is an avid equestrian and competes on SIUE’s Equestrian Team while also riding her own horse six days a week. She volunteers weekly at the Beverly Farm Equestrian Center. Rachel spends the remainder of her time cooking, working on campus, and commuting in her neon orange mustang. Jennifer Johnson is a Senior majoring in Psychology with an Asian Studies minor focusing in Chinese. After graduating she plans to attend a graduate program in I/O psychology. She is interested in diversity in the workplace and wants to specifically do research on the way employees of East Asian ethnicity are viewed by their coworkers. Jennifer enjoys singing & song writing, and also has a passion for learning both the Chinese and Korean languages. Anna Taylor is a junior Psychology major with a minor in Speech Communication. After graduation, she hopes to attend a graduate program in Clinical Psychology to obtain her PhD. Outside of school, Anna enjoys bicycle riding, crafts, reading, movies, and food. Alexa Knuth is an upcoming sophomore. She plans to major in exercise science with a psychology minor on a pre-med route. After graduation,Alexa hopes to go to D.O. school with her specialty in sports medicine. Her dream is to work with professional athletes. In her free time, she enjoys being outside and hanging out with her friends. Alyssa Gretak graduated from SIUE with a Bachelors of Science in Psychology and a Sociology minor. She is recently graduated from the University of Dayton's clinical masters program. Her current research interests include psychopathy and topics in the field of forensic psychology. Her future plans are to pursue a Doctoral degree in clinical psychology and to work in a forensic or hospital setting with individuals diagnosed with severe mental illness. Outside of academia Alyssa loves art and painting, watching movies, road trips, and being surrounded by friends. Morgan Witzke recently graduated from SIUE with a Master's in Social Work. She has She hopes to work in socio-economically challenged areas when she enters the field. Morgan writes, volunteers and spends time with her CRU and Inter Varsity friends when she is not in the classroom. Holly Reed is currently in a Clinical Master's program at Valpariso University. Holly is an avid fan of the Green Bay Packers even though she is from Chicago. Rosemary (Rosey) Morr was an active member of the research lab for two years and recently finished her Masters Degree in I/O psychology at SIUE. Rosey currently works for SunEdison in Maryland Heights as an HRIS Analyst . Her research interests include ageism and sexism in relation to occupational decision-making. She aspires to further her education, hoping to obtain a doctorate in the near future. Outside of the classroom, she enjoys traveling, trying new foods, and watching movies. 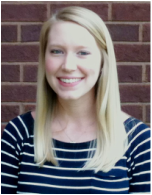 Lauren Murphy graduated from Auburn University with a Master's Degree in Family Therapy. She enjoys watching the Boston Red Sox or the St. Louis Rams. Ege Turen is currently finishing her I/O psychology Masters degree at SIUE. She recently accepted a position at ATS and a Talent Management & Organizational Development Specialist. In her spare time, Ege enjoys photography and traveling. Tiffany Edwards is a Business Administration Major with a concentration in human resource management and a Spanish minor. She will graduate in Spring 2013. Her goal is to obtain her master’s degree and work as a human resource professional. In her spare time she enjoys passive activities such as reading, watching movies, and relaxing with friends and family. Monica Fosberg is currently a senior at SIUE with a major in psychology and a minor in criminal justice. Her goal is to get into graduate school and pursue a PhD in Clinical Child Psychology in order to work with at-risk youth. In her free time from studying she enjoys spending time with her kids and husband and being an Air Force wife. She coaches kids football, floor hockey, soccer and more. She also enjoys photography. Jordan Blackhurst is finishing up her Master's degree in I/O at SIUE. Jordan has been an Associate Consultant at CMA for over a year. Jordan is interested in issues involving gender bias in the workplace. Jordan is currently an intern at Psychological Associates and the Treasurer of SIUE’s Psychology Club. Outside of class Jordan enjoys reading and going to the gym. Eric Hall completed his undergraduate degree in psychology at the University of Missouri-St. Louis. He is currently applying to graduate programs to study social psychology. His research interests are stereotyping and prejudice. Aside from his academic pursuits, he is a proud Whovian and True Blood fan. Chelsie Abbett is a Psychology major with a minor in Women's Studies. She plans to attend SIUE's graduate program for I/O psychology. She hopes to become a consultant when she enters the field. Outside of school, she has a deep appreciation for the fine arts and loves to watch foreign films. Jasmyn McKenna is a Psychology major and Art minor. She plans to one day become a counseling psychologist with her own practice. Her favorite color is purple. Kendra Will is a Psychology major and Spanish minor. She will be graduating in May of 2012 and plans to continue on to graduate school. She hopes to receive her Master's degree in Applied Behavioral Analysis. Kendra's ultimate goal is to become a board certified behavioral analyst working with children with autism. Scarlett Meyer graduated from SIUE with a Psychology major and Sociology minor. She is currently a second year of her Masters program in Clinical and Counseling Psychology at Roosevelt University. After receiving her Master's degree in Clinical and Counseling Psychology, she eventually hopes to continue her education to obtain her Doctorate. Scarlett wants to eventually work in the prison system as a Counselor. Geraldine Hannon (Vonnie) graduated from SIUE with a double major in Psychology and Philosophy. She is finishing a year of public service as an AmeriCorps VISTA at Connections to Success in St. Louis. After her year as a VISTA, she plans to continue serving low-income families in St. Louis at onnections to Success as a Grant Writer and pursue graduate school studying issues of social justice. Ashlee Hitchcock is a Psychology major with a minor in Studio Art. She plans to attend SIUE's graduate Art Therapy program. She is also interested in studying Adlerian psychology. She only watches Law and Order: Criminal Intent starring Vincent D'Onofrio. When she is not reading about psychology she loves to read dark, sarcastic and humorous books especially by Christopher Moore. Kirsten Smith finished her Master's degree in the Clinical Adult Masters program here at SIUE. Her educational goals are to obtain a Ph.D. in Counseling so that she may one day help others and in return tour the world. Rawr.